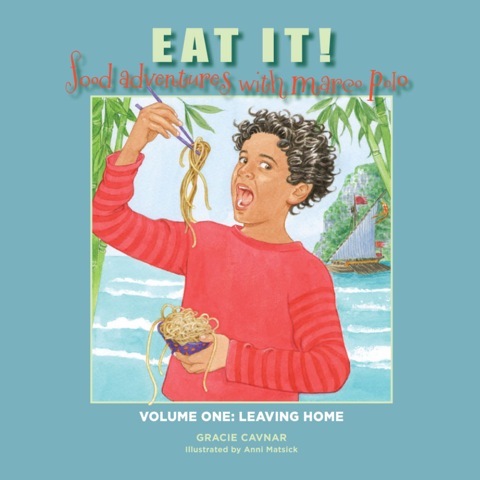 Gracie Cavnar, recently released her first book, Eat it! Food Adventures with Marco Polo, a children’s cookbook meets adventure tale, and it’s been picking up all kinds of awards. The book attracts young readers to the fun of cooking and eating more fruits and veggies through an adventure story. Gracie Cavnar’s book follows Ottavio Fornero, a pint-sized member of Marco Polo’s famous expedition as he discovers wondrous foods through the rich cultural traditions of people along the old Silk Road. As Ottavio journeys from Venice to the Middle East, cooks and readers as young as seven learn thirty easy-to-follow recipes inspired by the trip. The 160-page book, written for children seven to eleven, is the first in a series of three. Volume One: Leaving Home engages young and old alike, setting the stage for parents to share their family’s long-held food traditions plus create new ones with their children. I was able to ask Gracie about her inspirations, writing her first book, and what her next plans are. -What inspired you to write Eat it! Food Adventures with Marco Polo? I created a nonprofit focused on combating childhood obesity by changing the way children eat. We do that by introducing children to their food from seed to plate and making it fun–an adventure. Our work is hands-on, principally in elementary schools and we have grown through the years to the largest organization of this sort in the country. But, I wanted to reach out to an even larger audience of kids to lure them with a fun adventure story to the magic of great food and to give parents a great tool to inspire healthier eating for their children. -Why did you choose this demographic? See above–we work with children under 11 because their habits are still being formed and they are wide open to new ideas. Research indicates that weight patterns and food attitudes are set for life after elementary school–gotta get em while they’re young! -Do you plan on expanding this series/writing for an older demographic? Actually, because the recipes are real food, not kids food, many adults have told me that they use and enjoy the book. It’s really great for a beginning cook whether they are 8 or 50, because its not intimidating and includes extensive glossaries explaining ingredients, utensils and processes. I have written professionally for many years–not books, but feature stories and magazine articles, which were all directed toward adults, so this is a fun writing departure for me. That said, I have been accumulating recipes from famous chefs for years from the special events and fundraisers they do for us and plan a 10 year retrospective of them in 2015. I’m currently writing two other books: Grace Notes, a collection of previously published personal essays, and I Have An Idea! Inspirational Stories from Non-profit Entrepreneurs. I frequently contribute editorial and feature columns to The Houston Chronicle and This Small Planet blog. -What do you like about working with Recipe for Success? 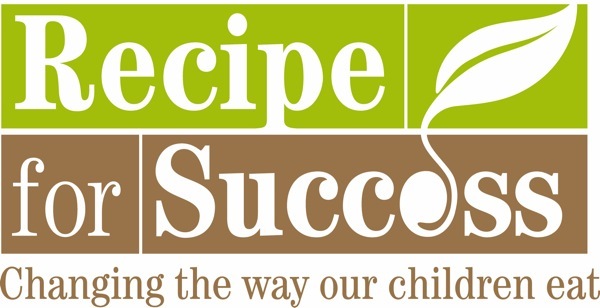 OF course I am passionate about Recipe for Success because I created it and because this wildly successful program started with just a flicker of an idea that I could make a difference, but has now changed over 20,000 lives. Be sure to check out Eat It! Food Adventures with Marco Polo, and Recipe for Success’ Mission.